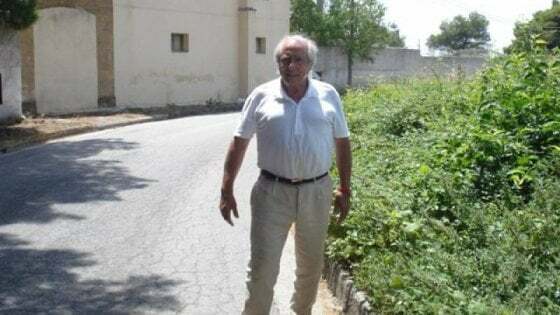 The Italian Journal 24ore, Campobello-News, and Palermo.repubblica noted today, November 15, 2017, that the property of Gianfranco Becchina (here more info in Italian) was confiscated due to links to the Sicilian Cosa Nostra, namely its boss Matteo Messina Denaro: authorities have seized the noble house and Becchina’s bussiness (Olio Verde, Demetra srl, Becchina & company srl, Atlas Cementi Srl), along with bank accounts and other assets valued at millions of euros. Chasing Aphrodite notes that: Prosecutors believed that Becchina got his start in the local antiquities trade with mafia protection, then moved his operation to Basel, Switzerland where he could operate at bigger scale and with less risk. They noted that the antiquities trade was an ideal vehicle for laundering dirty money, and the smuggling of large illicit objects from Sicily could not take place without mafia knowledge, approval and likely help. Antiquities was not Becchina’s only business. When he moved back to Sicily, he started an olive oil business on his orchard in Castelvetrano. For further details, see the pages of Chasing Aphrodite and ARCA. For the connections between Becchina and his influence in politics (“Marinello”) see here. 2017-11-15 in Destruction of Cultural Heritage, Illegal excavations, Italy, Selling of unprovenanced items.